Soybean and groundnut seed crops have done well. Harvesting will commence in April and continue through May. We are still awaiting a new variety of parent Maize seed promised by the ministry of agriculture. This will be grown at the Makeni site under close supervision. 115 Farmers have been included in the programme for the 2018/19 season. An additional 50 farmers have been given seed. They are not included in the management programme, but we expect the quality seed will help them increase their yields. The rains have been good this year and most farmers are expecting a good harvest. Harvesting will commence in April and continue through May. Shelling, grading and bagging will continue until September. 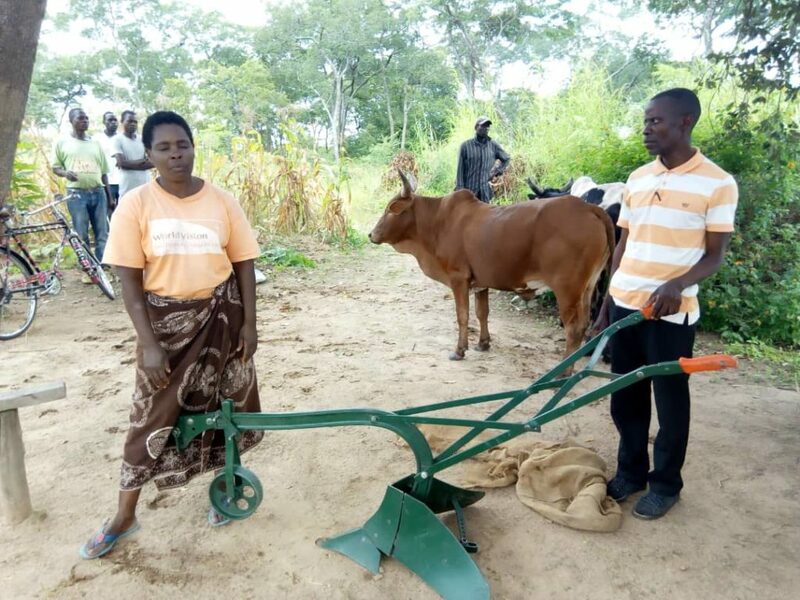 Oxen and a plough have been purchased for selected farmers and results are very positive. For those surveyed they have been able to cultivate an additional 7 acres which based on the value of the crop should easily justify the initial cost. We are looking for donations to help multiply the benefit.